1819 - Major William Farquhar tasked his son Mr Francis James Bernard to set up Police Force. 1843 - Thomas Dunman Head Police Force on a part time basis. 1862 - Detective Branch was formed to target secret societies activities. 1866 - Marine Police was established to deal with piracy. 1870s - Police Sikh Contingent was formed to kerb with the Chinese gang wars. 1918 - Traffic Branch was form with 20 Police Constables. 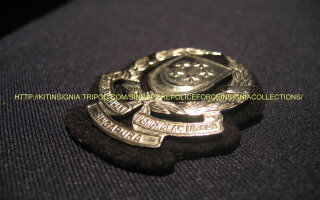 1925 - Straits Settlements Police Band was formed as second Police Band. 1929 - Police Training School was built and later known respectively as Police Academy and Police Training Command. 1945 - Radio Branch later known as Radio Division. 1946 - Volunteer Special Crops was formed and about 150 men responded. 1948 - Dialing of 999 to contact for Police service was launched. 1948 - SPF officers where sent to fight Communists in the Malaya jungles. 1949 - Women Police Unit was formed as Women Special Constabulary. 1949 - Gurkhas Contingent was formed with 147 men recruited from Indian Army Gurkhas. 1951 - Security Squad was formed and later known as Police Security Branch. 1952 - Riot Squad formed with 60 officers to tackle roits in Oct that year. Later also known as Reserve Unit, Police Task Force and now as Special Operation Command. 1955 - Airport Police and Dog Unit were formed. 1959 - National Police Cadet Crops was introduced. 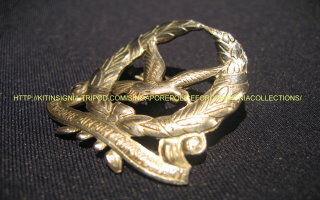 1965 - Polis Republik of Singapura Band was named. 1967 - Special and Volunteer Constables opened for part time National Service. 1971 - Central Narcotics Bureau was formed. 1976 - Singapore Corporation of Rehabilitative Enterprise was formed. 1977 - Police Tactical Team was established. Later known as"STAR TEAM"Special Tactic&Rescue. 1983 - Neighborhood Police Post system of community policing was implemented. 1992 - Police Task Force was renamed Special Operation Command. 1997 - Neighborhood Police Centre replaced Neighborhood Police Post. 2000 - Police Security Command renamed from Police Security Branch. 2003 - Immigration and Checkpoint Authority was a merger of Singapore Immigration & Registration and Custom & Exercise Department.